I recently saw a tweet asking nurses to describe what their profession meant to them. As I expected, nurses responded with wit and humour, and some gave rather unglamorous descriptions of their jobs. Their descriptions rang true – there is no doubt that some of the things we have witnessed as nurses were not in the ‘how to be a nurse’ invisible handbook we all signed up to. Similarly, at the University of Stirling, where I work as associate professor in cancer nursing, colleagues and I recently asked prospective students why they wanted to be nurses. I am pleased to report that ‘care and compassion’ ranked highly among the answers, but I was struck by how difficult it is to articulate what ‘being a nurse is’ in a few minutes. Then I thought about how I would describe being a cancer nurse. Yes, being caring and compassionate, treating people with dignity and trust, and being a good communicator are crucial aspects of nursing. In my roles, however, the abilities to multi-task, lead teams, remain calm and composed, keep patients safe at all times, and deliver complex treatments are also among the attributes of a cancer nurse. Behavioural characteristics, such as kindness and compassion, are often associated with nursing. 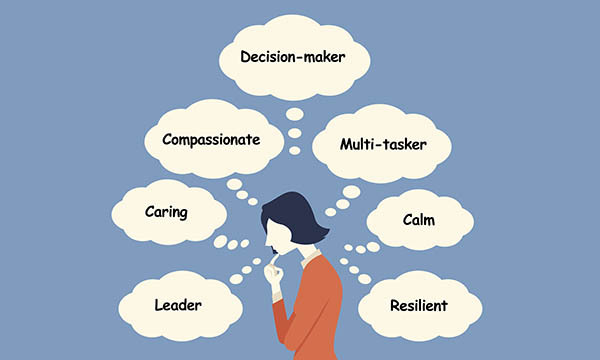 But perhaps when we talk about cancer nursing we should talk about ‘the compassionate nurse leader’, ‘the kind and highly competent nurse’, or ‘the difficult and complex care given by nurses compassionately’. By doing so we could start a dialogue about the reality of nursing and how being a nurse is changing. Nurses are critical decision-makers in care teams; they find solutions to problems others may find difficult. Those entering the profession must be resilient as well as kind to cope with the demands that will be made of them.